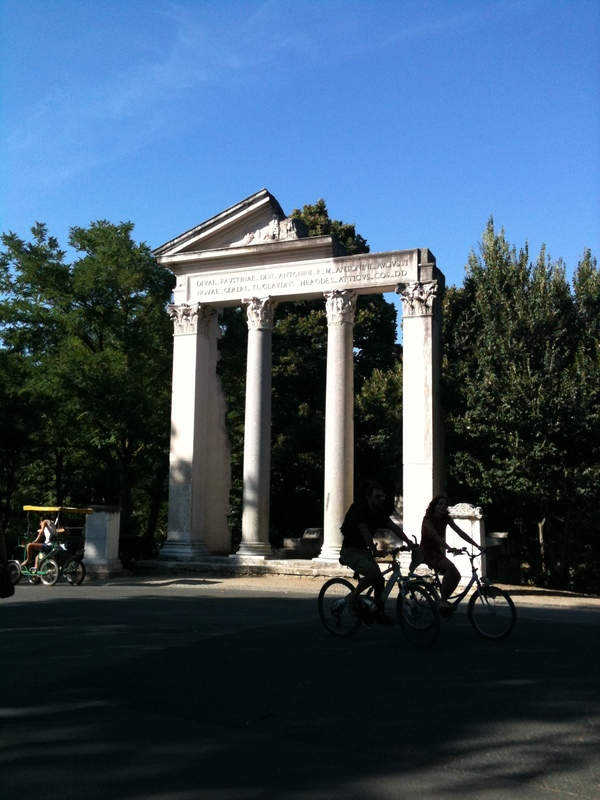 There is nothing as beautiful then strolling through the parks in Rome. 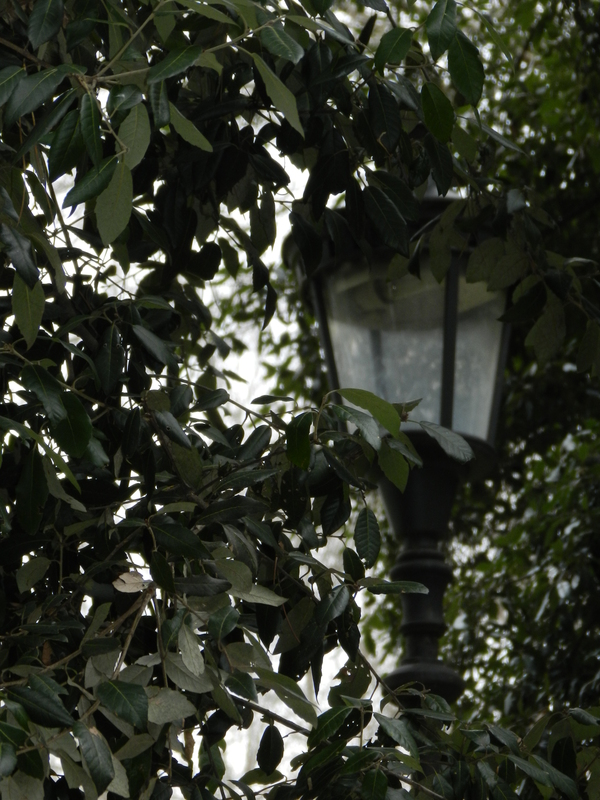 In the middle of one park in particular there is a treasure that seems to hide amongst the greenery and fountains. 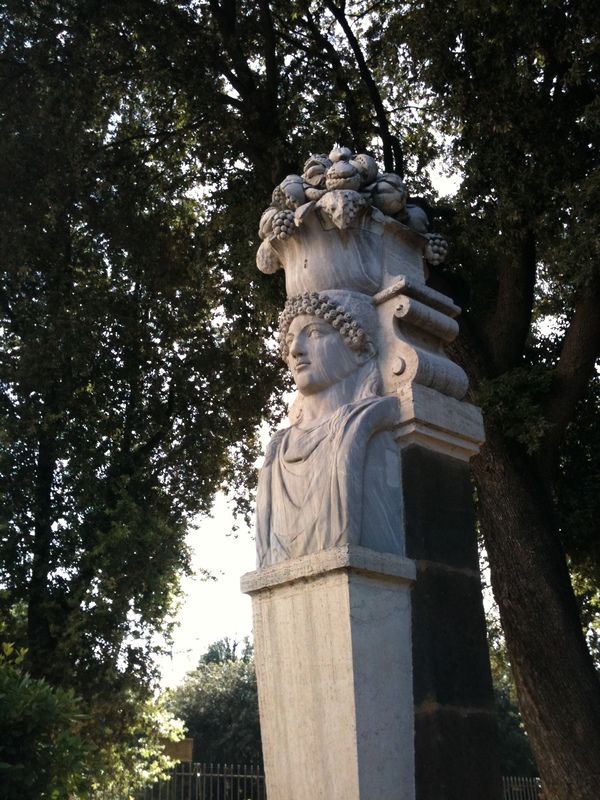 Villa Borghese is one of the most beautiful parks in Rome, which hides a collection of art that one might not realize. 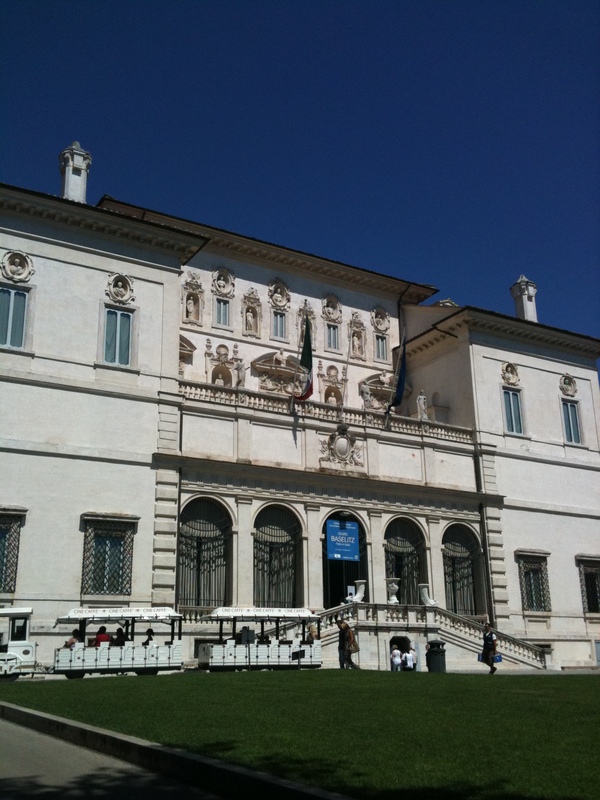 The Borghese Gallery is to me one of the top art galleries you can see in Rome next to the Vatican Museum. It is not too hard to find in the park but if you do become disoriented just ask someone and they will gladly direct you in the right direction. When you enter the gallery you will stand in awe of the mosaics that show scenes of gladiators, elaborate ceilings and the vastness of the room itself but take a deep breath and let it sink in. There is a lot more to this gallery then just the first room. You can see the sculptures and paintings of Bernini as well as many others. Bernini was not the reason I took this trip to the gallery however, I came for Caravaggio. As I walked along the rooms, I came upon what I was seeking. The room has six beautiful works of Caravaggio, one of them being his famous “David and Goliath,” which is a haunting piece of a young boy holding up the severed head of Goliath. Fun fact about this painting the head of Goliath is a self-portrait of Caravaggio himself. Among his other paintings are “St. Jerome,” “John the Baptist,” and “Boy with a Basket of Fruit.” The lighting in the room works very well with Caravaggio chiaroscuro style. As a side note, chiaroscuro is the style of using dramatic contrast between light and dark. This style gives dark reality to his paintings. As I said before there are many Bernini works in this gallery, like his sculpture of the “David.” The sculpture is the first to show David in the process of throwing the stone. You can also see “Goat Amalthea” a sculpture that Bernini completed when he was thirteen. There are also three painting that Bernini painted. This gallery is large and is filled with history and beauty and you only have two hours to see it all because they limit the time and the number of people, but don’t rush, you have plenty of time to see it all. I recommend taking the Dark Rome tour of this gallery. The tour guides in this company are extremely knowledgeable and you will walk out with a feeling of a newfound appreciation of the arts and maybe a degree in history. If you’re not that type of person and just want wander around and take your own time, this gallery will also appease your taste. 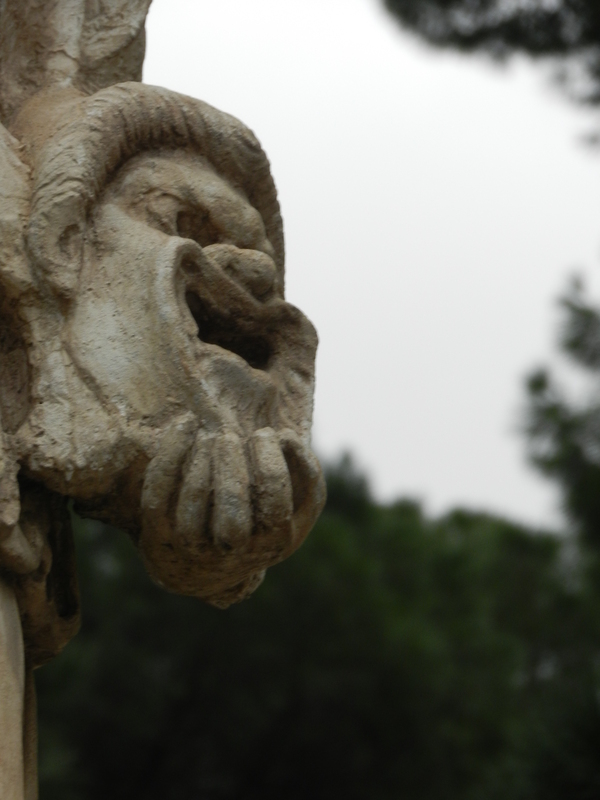 You can book a Dark Rome tour visit their website, http://www.darkrome.com/. If you would like any more information on the Borghese Gallery or reserve tickets (which I recommend) you can check out their official website http://www.galleriaborghese.it. The site will give you all the info you will need to experience this impressive collection of art.